Today businesses are steadily adopting a customer-centric strategy. As Forbes put it, “the goal is to keep the customer’s viewpoint and the customer’s ultimate well-being at the center of everything a company does”. There is a lot one can do in terms of e-commerce if we speak about personalization and customer-centricity. One of the ways to improve customer experience is to offer extended options for managing online purchases. Below are the examples of how you can tailor your store in order to delight the customers. Learn more here. Wishlists come laden with lots of benefits. They help retain customers, drive traffic and analyze user preferences and behavior. In addition, wishlists serve as a fun and interactive element that does not put the pressure on the customer to buy right away. Here are some awesome things you can do with them. Wishlists can be categorized by the type of goods in the store: i.e. if you sell clothes only, you can set template lists like “pants”, “shirts”, etc. You can create such lists by default and link them to a certain product category. Thus, if a customer adds sneakers to a wishlist, they would be automatically sorted to the “footwear” list. Scheduled wishlists can be related to certain holidays: Halloween, Christmas, Birthday. Being linked to the calendar, such lists will be sent to the user a few days in advance before the date. According to Baymard’s study, 28% of US shoppers leave their order because of “too long/ complicated checkout process”. Thus, it is important to include an option of a guest wishlist to your website, so the customer can proceed without registering an account. 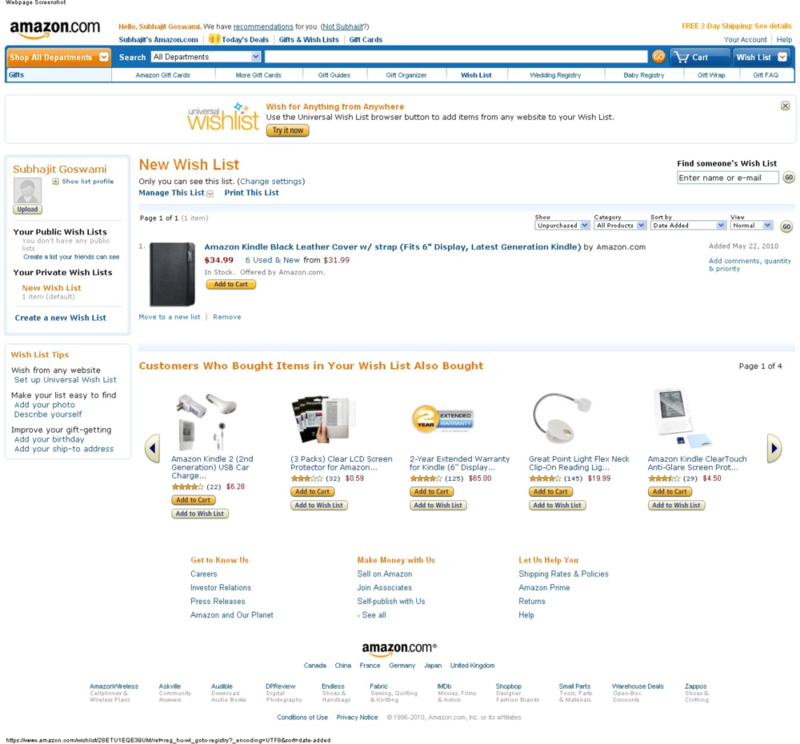 In this case, the store would request an email, so that the customer can access his wishlist any time from any browser. The option of scheduled (or postponed) purchases would allow customers to plan their purchases in advance for a certain date: payday, Birthday, etc. Here is how the process would go. When a user chooses an item to pay for later, he simply schedules it for a certain date (either with a built-in or Google calendar). When the date approaches, the user will receive a notification from the store, reminding about the item and asking for the payment approval. The calendar can be either built-in or linked to the store. In both cases, the user will see the calendar in the item window and will be able to choose the date for the desired purchase. In the case of Google Calendar, the user may be requested to log in to the store with his Gmail account. Thus, the user will receive notifications from the store, but at the same time will see the upcoming purchase in his calendar. This option would be perfect for big households or any buyers that tend to shop for the certain and same items on a regular basis. Electric bulbs, dog food or household supplies are good examples of such regular purchases. The process could be the following. After completing a regular purchase once, the information about the order and the payment method would be kept in the store. Thus, the user would be able to schedule the same order for future delivery on a regular basis, for example, every month or every two weeks. The only action the user would need to do is to approve the payment request, that would be included in a notification from the store. Such a service has numerous benefits. For the customers, it would allow buying with one click only instead of repeating the same actions again and again. For the store owners, it would serve as a chance to offer related products, personalized offers, promotions, and discounts. In research from 2017, conducted by B2C company, 66% of marketers saw an improvement in their KPIs up to 20% due to customer personalization, and 10% of the marketers saw an improvement of 30% or above. The automation of the purchase ordering process will increase customers’ loyalty towards the store by saving their time and responding to their needs. The integration of wishlists specifically will play a significant role in retaining old customers and at the same time, attracting new ones. For business owners, such an approach towards personalized purchase management will lead to increased conversion rates and hence, revenue. As well, it will serve as a valuable insight into the consumer behavior, allowing to craft more personalized proposals.